No man was ever more than about nine meals away from crime or suicide. 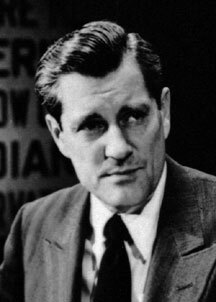 Arnold Eric Sevareid (November 26, 1912 – July 9, 1992) was an American author and CBS news journalist from 1939 to 1977. He was one of a group of elite war correspondents who were hired by CBS newsman Edward R. Murrow and nicknamed "Murrow's Boys". Sevareid was the first to report the Fall of Paris when the city was captured by the Germans during World War II. The only way I could describe what kissing him felt like was, like the last day of school, knowing that months of freedom and sunshine lay before you, the feeling that you could do anything you wanted and time stretched out in endless possibilities. The heart does not always make sense. It wants what it wants, even if what it desires does not want it back. I don't want a taste of something I can never have. I never stopped loving you. I wanted to. It would have been easier. But I can't turn it off with a switch.